Since the medieval times, a great deal of effort has been placed into the construction of churches. The result on one end are large, awe-inspiring cathedrals, such as St Mary’s located in Sydney. But on the other end of the scale are the local churches that serve communities. More modest in scale, they reveal the sublime in architecture. Like so many buildings from Camden’s past its churches are beautiful beacons against the breathtaking countryside. St John’s Anglican Church. Pictured around 1900 from Broughton Street. Copyright: Camden Historical Society. 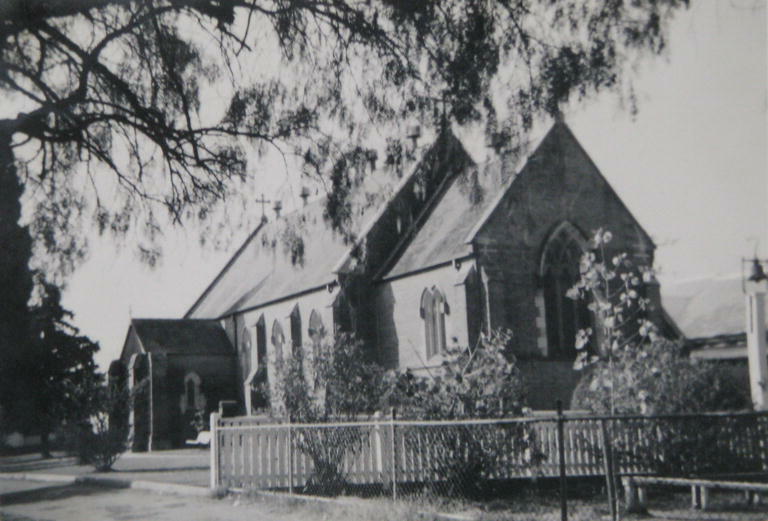 One of the oldest, St John’s Anglican Church, was imagined and commissioned by the Macarthurs. John Macarthur had set aside a site for the church but it was his sons James and William who put in the application to the governor to have it built. The state subsidized £1000 to the total build cost of £2500. The church was designed by Colonial Architect William Mortimer Lewis, although some of his designs, in particular the rendering of the walls, would be countered, leaving them plain brick to this day. 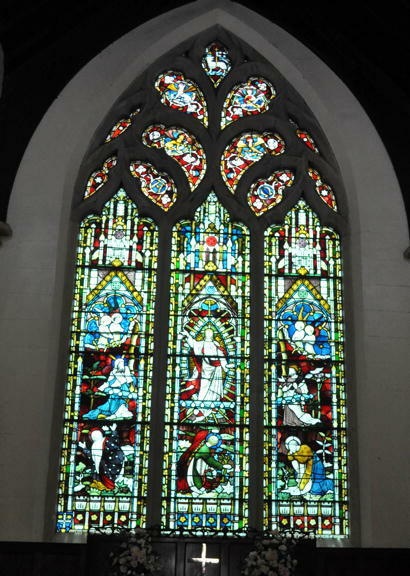 East window St. John’s Camden. Memorial to James Macarthur. Inscription: ‘Erected by his many friends and admirers. In memory of James Macarthur Esq of Camden who fell asleep on Easter day April 21 1867 in the 69th year of his age. Copyright: Camden Council Library Service. St Paul’s Catholic Church, Camden. Copyright: Camden Historical Society. The first Catholic Church to be built in Camden, St Paul’s became the centre for Catholic sacraments in 1845. Up until that point the Catholics of the Cowpastures gathered in the Cottage of the Galvin family in Elderslie. 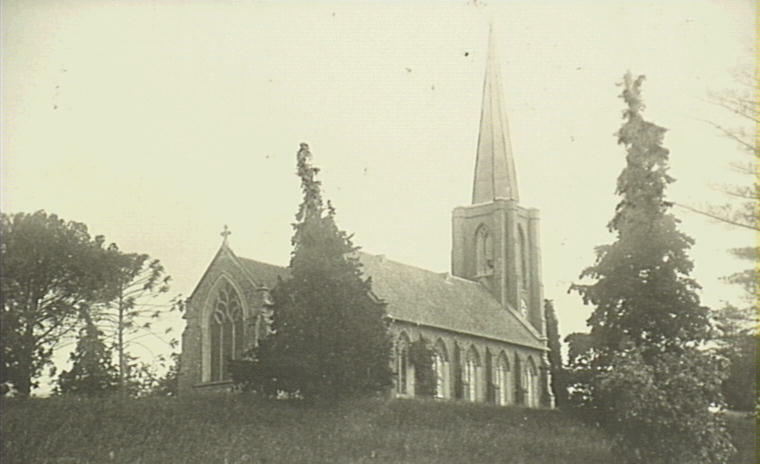 A new church was soon required due to an increase in the size of the congregation, and in 1859 the St Paul’s that still stands on John Street was built. View from graveyard on western side. Copyright: Camden Council Library Service. The first church in Cobbitty was Heber Chapel built by Thomas Hassell of Denbigh in 1827. The site was expanded to include a cemetery. 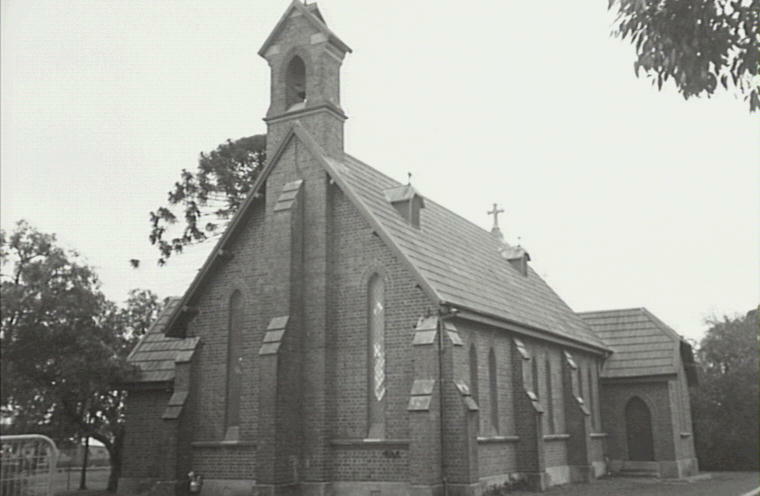 In the 1840s the current church, St Paul’s Anglican Church, was planned and built. Both the chapel and the church have been of great research value in their ability to provide details of 1820 and 1840s construction techniques. St Thomas Church, Narellan. Copyright: Camden Historical Society. 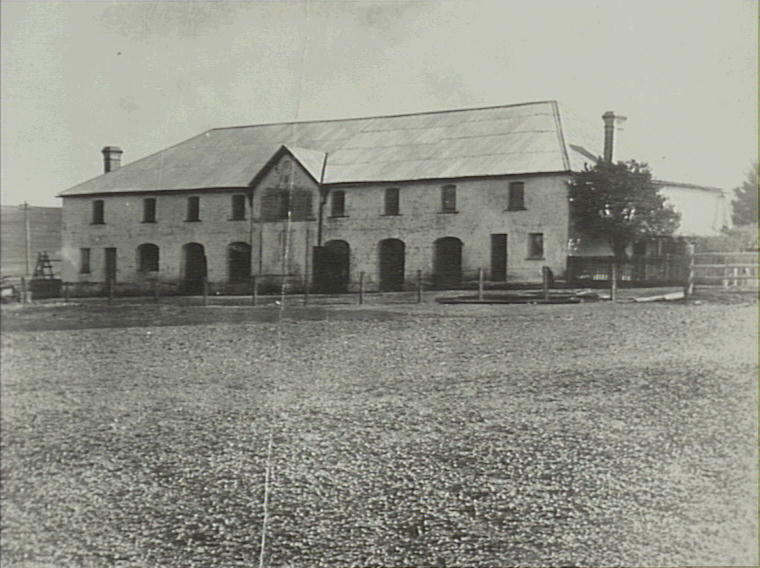 St Thomas’ replaced the building that served as both a school and church that was built by 1839 by Bishop Broughton and serviced the village of Narellan. St Thomas’ was designed by Edmond Blacket and his sons and was built in 1884. What makes it unique among churches in the area is its Victorian Gothic architecture, and has been compared to the ecclesiastical buildings of John Horbury Hunt. 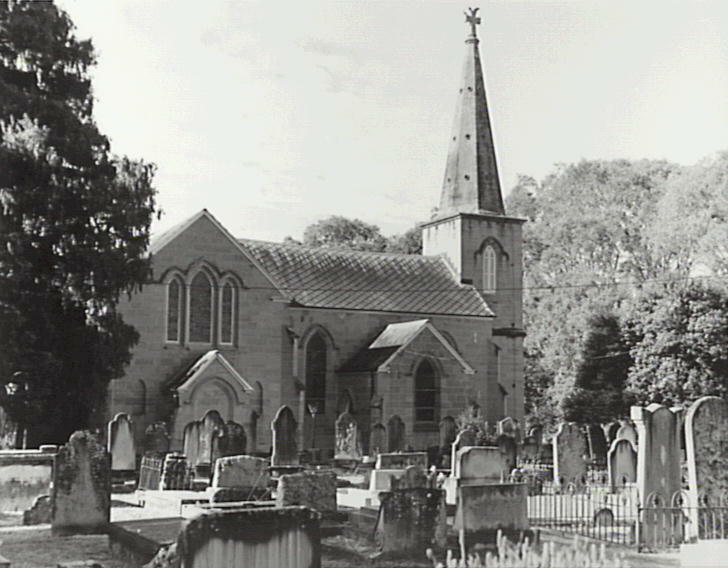 St James’ Church, Menangle. Copyright: Camden Historical Society. Speaking of Hunt, some may see a similarity to another famous Camden building echoed in the turret and steeple of this striking example. 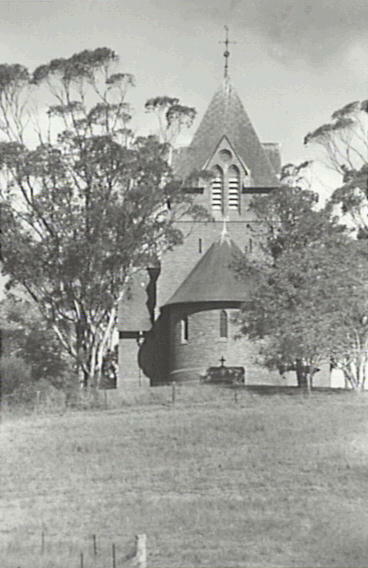 St. James’s Church in Menangle was designed by noted architect John Horbury Hunt, who also designed the now famous Camelot. With development being the main theme of so many buildings and sites in the Camden LGA, it is encouraging to remember these beautiful buildings and tranquil sites continue to serve the community as places of worship. They are not only striking buildings to look at, but provide places to reflect both on the beautiful past and the hopeful future.